From May 13, we are awarding your support with free samples in all the orders. Cables, PCBs, small sensors... When you place the order, we will include an assorted gift. - Electrolytic Decoupling Capacitors - 100uF/25V: These capacitors are great transient/surge suppressors. Attach one between the power and ground of your project to ensure smooth power delivery. 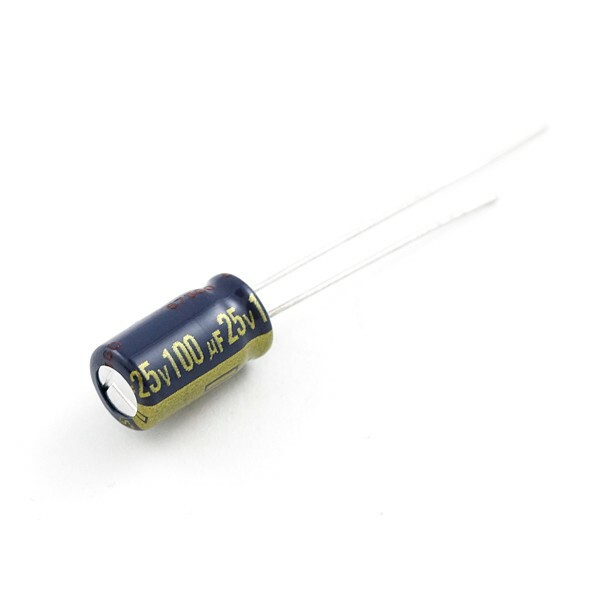 High quality radial electrolytic capacitors. - DIP Sockets Solder Tail - 18-Pin 0.3". If you've ever had to de-solder a dip part from a circuit board, you know how valuable these are! Number of pins include: 8, 14, 16, 18, 28, and 40. - Jumper Wire - 0.1", 6-pin, 4": Great for jumping from board to board or just about anything else. There is a 6-pin JST RE connector on both ends. These are simple jumper wires used on standard 0.1" breakaway headers. - EB - Fully buckled 3 wire cable: The cable is designed for Arduino sensor shield V4 and Sensor Chassis 1.1. Compatible with V4 digital port, basic digital module connections. We will add more assorted gifts soon. Come on! Get your free sample in your next order! If you are also looking for specials, don't forget to visit our Sales Section. More than 100 products are waiting for you.